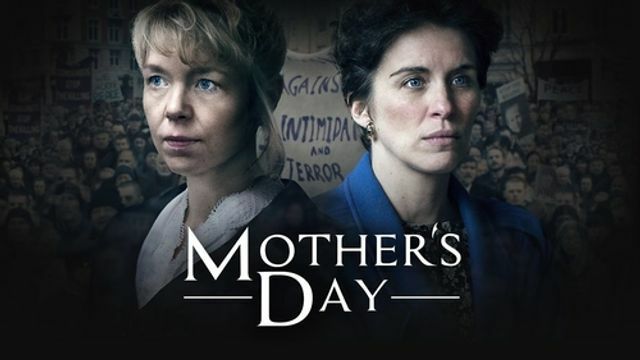 If you didn't see the BBC2 drama, Mother's Day last night (3 September) make sure you see it in the next 29 days whilst it's still available on the BBC iPlayer. It's a brilliantly portrayed account of the aftermath of the bombing of Warrington town centre in 1993, and for me a reminder of the time I met Colin Parry OBE a few years later when he spoke at one of CEDR's Advanced Negotiation courses. And here's the blog I wrote eight years ago, largely inspired by that meeting. Perhaps the world hasn't moved in since then, but thankfully in this part of it at least it's a different place from 1993, thanks in no small part to people like Colin who are committed to peaceful conflict resolution. It may not be the most career-enhancing move to worry about leadership in conflict resolution just a couple of months after the boss [Karl Mackie] gets his well-deserved CBE, but I’ve been worrying about where the next generation of leaders are coming from. This thought came to mind with the recent announcement that Archbishop Desmond Tutu is to withdraw from public life. No doubt, like Madiba [Nelson Mandela] before him, retirement will turn out to be rather more active than he intends, but his influence and impact will clearly be on the wane from now onwards. So the question is: who do we look to next? There are academics like William Ury; senior officials such as Secretary-General of the United Nations, Ban Ki-moon; and former politicians such as Jimmy Carter, Bill Clinton and Tony Blair; but these are the giants of the world stage, the politicos who move smoothly from one conference to another. Yet are they the best we’ve got? What I’m looking for is some inspiration – the ordinary men and women who are setting a public example we can admire and emulate; the baggage-free public figure with the compelling moral authority and oratorical brilliance to lighten the path. Maybe Barack Obama will become such a figurehead when he escapes the trenches of presidential office – after all, he will still only be 54 when he stands down even if he does serve a second term. But who from the ranks of so-called ordinary people? One such man might be Colin Parry, an ordinary HR specialist until 20 March 1993, the day he lost his 12-year old son, Tim, to an IRA bomb in Warrington. CEDR invited Colin to speak to the delegates at our first Certificate in Advanced Negotiation programme last year, and we heard an amazing story of compassion and reconciliation. For rather than fight for revenge, Colin and his wife Wendy threw their energies into trying to find out why their town was bombed. They never did get an answer, but they learned a lot about our culture of dysfunctional politics and adversarialism rather than dialogue or understanding. Yet they didn’t give up, and now the tangible evidence of their work is a £3million Peace Centre in Warrington, the home of The Tim Parry Johnathan Ball Foundation for Peace, a national charity providing conflict transformation programmes to young people and adults. The Foundation believes that lives should not be lost or ruined because of man’s inability to resolve their differences peacefully. Everyone has the right to live a long and happy life without fear of violent conflict. However, to live in peace we all have a responsibility to make it happen. And maybe that should be the answer to my question – stop looking for a leader and instead take responsibility for making something happen. For this of all days is a reminder that our deeds can live on but a life lost is gone forever. Today, 1 September 2010 would have been Tim Parry’s 30th birthday. On the day before Mother's Day 1993, Colin and Wendy Parry's lives are torn apart when their youngest son Tim is killed in a terrorist attack by the IRA in Warrington's town centre. The attack shocks ordinary people on both sides of the Irish Sea. Sue McHugh, an unassuming and normally shy Dublin housewife, is deeply affected by the tragedy. Spurred into action by the events in Warrington and the hope that she can make a difference, Sue urges people across Ireland to demonstrate that the killings on all sides must stop. But has Sue underestimated the challenge of brokering peace in a community that has known only conflict?